3 x keys, 2 x fobs. COC included in sale worth £110 alone showing the original manufacture specifications. Private ‘LOT’ plate included in sale. V5, every MOT from new, huge amount of paper work, good service history with stamps in the service book. 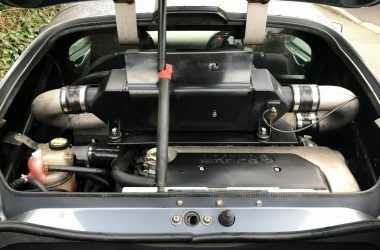 2004 11,103 miles – Wilson’s Lotus – Regular service. 2006 15,013 miles – Wilson’s Lotus – Regular service. 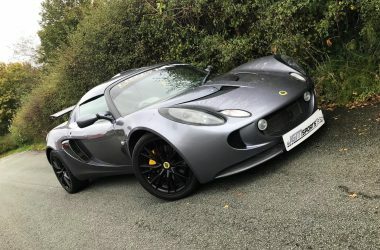 2007 20,191 miles – Wilson’s Lotus – In-depth service. 2007 23,973 miles – London Lotus – Regular service. 2007 26,652 miles – MOT. 2008 28,352 miles – London Lotus – Regular service + new radiator. 2008 34,976 miles – Phoenix Motorsport – Regular service + full top end rebuild including new cams. 2008 35,149 miles – MOT. 2009 37,222 miles – Track V Road – Regular service + steering rack + brake and clutch fluid. 2010 37,635 miles – MOT. 2010 37,635 miles – Track V Road – Regular service + gear cables + heater resistor. 2011 40,233 miles – MOT. 2012 41,754 Miles – MOT. 2013 41,788 miles – MOT. 2014 42,196 miles – MOT. 2015 43,814 miles – MOT. 2016 43,886 miles – MOT. 2017 45,991 miles – MOT. Full service including spark plugs. Compression test done all ok.
New Reverie Daytona induction kit. New uprated fuel pump (part of the 300s conversion). Charge cooler pressure checked with new mounts and fresh oat coolant. New aux/supercharger belt and tensioner. Rolling road @ 255bhp with graph (standard CAT fitted). 280s conversion installed by Track V Road. Lotus Stage 2 exhaust system. Elise parts fuel filler surround. Boost gauge in drives air vent. 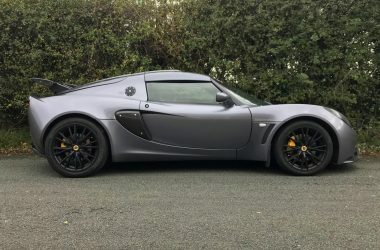 Normal Exige touring extras, electric windows, remote central locking etc. Everything works as it should apart from the air conditioning. Body work in good condition. Drives very well, we have done 300+ miles and its very fast as you would expect with 250bhp+. This big spec supercharged Exige is by far the cheapest on the market.